On a trip to Door County this past summer, I went to Washington and Rock Island for the first time in my life. If you are unfamiliar with these islands, they sit at the very end of Door County’s peninsula and are rich in Scandinavian history and culture. 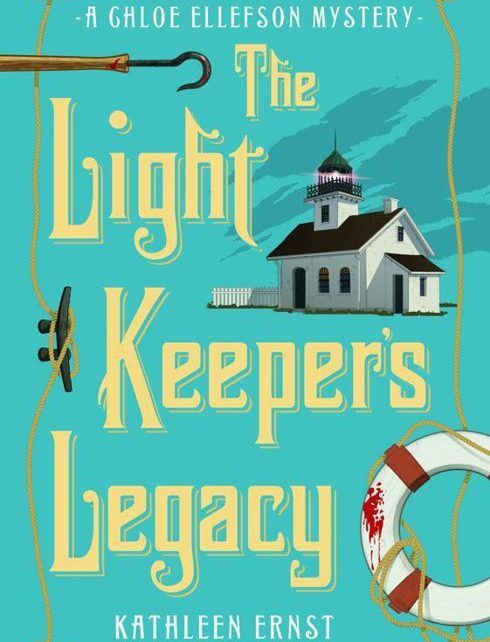 If you are at all interested in history, mysteries, and Wisconsin, you will find The Light Keeper’s Legacy by Kathleen Ernst to be right up your alley. This novel takes place on Rock Island, which is now a state park. On the island sits Pottawatomie Lighthouse, which is where we find Chloe Ellefson, the main character in this story. She is a curator for Old World Wisconsin in Eagle, WI, lending her talents to help set up the park’s lighthouse in 1982. Chloe shares the book’s pages with Rock Island residents from 1869 as the story bounces between time periods. Reading this book, you will learn about the tumultuous history of Rock Island and fishing in Lake Michigan, as well as what it was like to be a lighthouse keeper in the 1800s. There are a couple deaths in the book and enough peril to keep you guessing, but our characters handle it all with ease. This is the third book out of 10 in the Chloe Ellefson series, although I did not find this out until after I finished the book. Take a walk through history and learn about a location you can still visit today. Perhaps you will be inspired to spend a week on Rock Island just like Chloe.